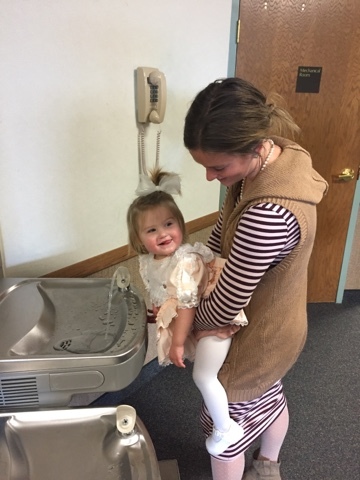 Miss Macey is quite a handful at church these days. Only three more months until she gets to go to nursery full time!! 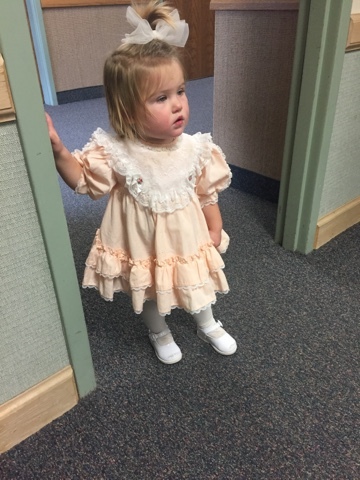 She looks so sweet in your dress - love it!